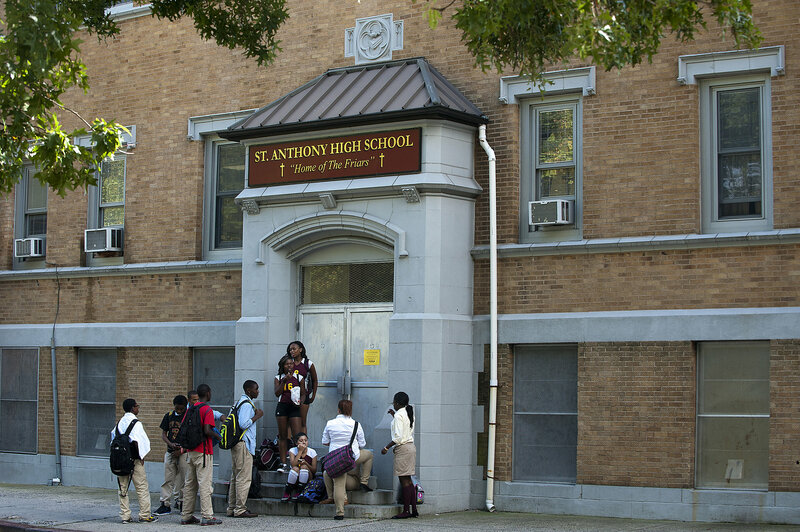 Learning Community Charter School » For Parents » 8th Grade High School Admissions » St. Anthony's H.S. Brief Description: Is a co-ed, college preparatory, Catholic high school. Known for it's athletics with famous coach Bob Hurley. Fine Arts Program, Honors Program, DeLaSalle Scholars Program, Accommodations for students with IEPs. This year they are now offering new college-credit Engineering courses taught by Hudson County Community College professors. Offer advanced placement courses in history, literature and chemistry. Currently offer SAT and ACT test prep sessions.